B&V&G: Granny, NXT, Lucha Underground and more! The Bryan & Vinny & Granny show is back tonight with tons to talk about including an amazing Granny segment watched over by her guardian angel and featuring UNCORRECTED NOTES from her wrestling review, with matches from NXT, 205 Live and even a video game match. There are also suggestions on topics for the next contest. We also had NXT, which had the fallout from Moustache Mountain’s NXT tag team title win, Lacey Evans vs. Candice LeRae, and the latest situations between Johnny Gargano, Tommaso Ciampa and Aleister Black. The main event had a six man tag team match pitting the Undisputed Era against Moustache Mountain and Ricochet in a six man tag team match. 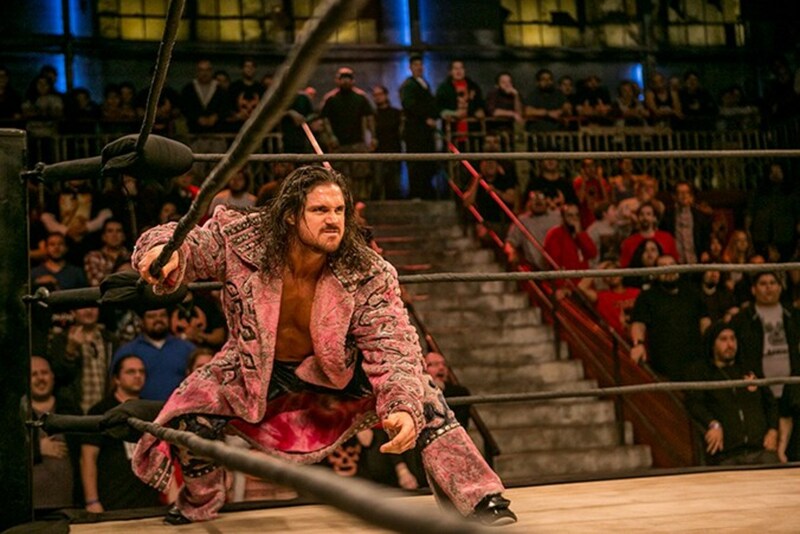 And also, perhaps for the last time at least on this show, Lucha Underground season IV. Johnny Mundo vs. Lizards could change that. But a fun show as always so check it out~! WOR: RAW, Survivor Series fallout, tons more!